One may get confused in a dental office choosing from the various options for orthodontic braces. Let us understand the different types of orthodontic options available. Traditional braces, metal or porcelain, are the most conspicuous kind of braces and comes with elastics and ligatures. They cost less in comparison with all the other variants. Self-ligating braces, metal, and porcelain, are devoid of elastic bands. Only a thin metal wire will be seen passing through your mouth. They give early results, cause less pressure and are comfortable to maintain and clean. Lingual braces and Incognito braces are the braces which are placed on the tongue side and hence are not visible. They cost more and can require some adjusting time. Invisalign comes as transparent trays, with a new set every two weeks. The cost for this system is on the higher side, and the results depend on the patient compliance. Let’ s understand all these options in detail. These are the braces which are most commonly used in a dental office. These kinds of braces require the use of brackets which are fitted to the front surface of your tooth. An archwire is slotted into these brackets which attempts to straighten using light force from elastic bands. These compound movements gradually align your teeth into their desired position. These braces use stainless steel brackets (1). The traditional metal braces used big sized brackets which gave it the appearance as the metal mouth. Now the brackets are much smaller, making them less noticeable and more comfortable to wear. Metal conventional braces are the least expensive type of braces but also the most noticeable type. These conventional braces use porcelain or ceramic brackets which blend in with the color of teeth (2). Hence they are less noticeable than metal braces which makes them a more aesthetically pleasing option. They are more expensive than metal braces. In some instances, the brackets can stain if proper hygiene is not maintained. Self-ligating braces are placed much like conventional braces. As the name suggests, the braces are self-ligating, that means it doesn’t require any ligature in the form of elastic bands or metal ties (3). Instead, individual clips or brackets are used to help the archwire move your teeth into place. The clips allow greater freedom of tooth movement; thereby they might reduce the discomfort that is sometimes associated with a traditional ligature. Self-ligating braces require less time and cause less discomfort during routine visits with your orthodontist (4). Depending on the case, self-ligating braces are also more comfortable on your teeth and could reduce the amount of pressure and friction (5). Because of the absence of the ligatures, the chances of food getting stuck in the braces is also less. Hence they are also called self-cleansing braces. These use a smaller size archwire which allows the teeth to move more freely. This bracket is used at the beginning of treatment. These use a thicker archwire and delivers more pressure onto teeth. Hence the movement of teeth will be more efficient. With self-ligating braces, visits to your orthodontist could be less frequent, and will potentially cause less discomfort than with traditional braces. Self-ligating brackets display a significantly lower level of frictional resistance, less chair-time for removal and insertion of the archwire. Self-ligating brackets are available in both metal and ceramic components. These fall into the category of orthodontic appliances but are not necessarily braces. Invisalign are virtually invisible aligners and include no metal or porcelain brackets or wires. These are custom made for your teeth. Invisalign uses patented thermoplastic designed aligners. Invisalign aligners are clear and transparent which are their most significant advantage. Invisalign are a series of trays that gradually shift your teeth into place. Each tray is manufactured so that the teeth are slightly straighter than the previous tray. Every two to three weeks, a new set of trays are delivered which slowly moving your teeth towards their ideal positions. Your teeth move typically up to 0.25 mm per tray. On the day of your consultation, the dentist will perform a digital scan to create a customized treatment plan. 3-D images of your teeth are used to map out their precise movements over the course of your treatment. Only a few teeth are designed to move during each stage of the procedure. Minor changes in the tooth anatomy can be done by your orthodontist such as interproximal reduction wherein the borders of the tooth are shaved to create space. The treatment time for an average adult case is around 12 months which varies depending on the severity of each case. Your dentist can also use attachments in conjunction with the trays. In some cases, the tooth-colored composite is placed on the teeth which help the aligner grip the teeth better. The biggest drawback of Invisalign trays is it does not allow torquing movements, meaning, it cannot be used for complex orthodontic cases (6). The second drawback is patient compliance, the result will be obtained only and only when the trays are worn for the stipulated amount of time. Interproximal reduction increases the risk of sensitivity and caries which is not required in other orthodontic methods. Lingual braces involve brackets, wires and elastic bands which are all mounted on the lingual side of the tooth, the tongue side. All the other braces category involves placing the braces on the buccal side, the front side. It allows the dentist more control over the teeth movements (8). And unlike the removable aligners, patient compliance is not a problem. Lingual braces systems include optical impression making, digital treatment planning, and the use of custom-made, patient-specific brackets and archwires. Pertaining to these reasons, the lingual braces have added cost factor. The biggest issue with lingual braces is getting accustomed to the braces. The patient may develop a temporary lisp in some cases while they are getting used to the braces. Also, each office appointment is likely to take longer than it would with conventional braces. However, with some lingual systems, fewer dental appointments are needed. As the name suggests, the braces are not visible in the mouth; they are placed lingually. The main benefit of Incognito braces is that they are entirely custom made from detailed scans and impressions of your mouth. The wire is shaped by a robot to ensure absolute precision for your treatment (9). This system allows for the most effective treatment possible, so the treatment time is shorter than with other types of the brace. Incognito use a gold alloy for their wires and brackets, which is less likely to create an allergic reaction than materials containing nickel (10). Incognito braces cost more than other orthodontic methods. The brand Incognito offers an alternative to full-mouth orthodontic treatment and is ideal for patients who feel particularly unhappy with their front few teeth. 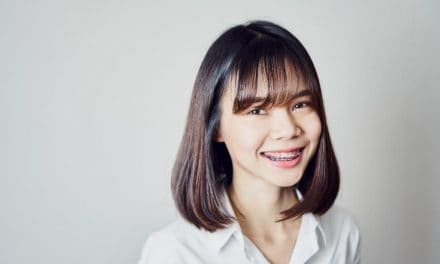 The option for Incognito braces is available at fewer orthodontists as it requires specialist training and expertise to fit and maintain these customized braces. Braces are a minimum of one-year commitment, so choose your braces wisely. 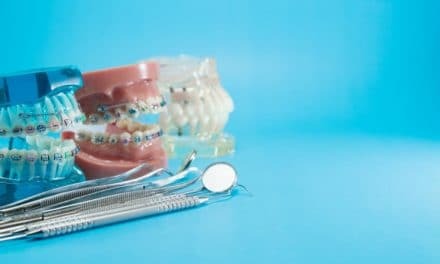 Every kind of orthodontic braces and aligners comes with pros and cons, understand which category of braces is best suited for you and opt for that. Braces hygiene is an essential factor; otherwise, it can cause gum diseases and cavities. Do not bite on hard objects s it can dislodge the brackets. Follow the dos and don’ts advised by your orthodontist. Be regular for your appointments and if you are opting for aligners, wear them regularly. Previous2.4GHz vs 5GHz – Is 5GHz Better Than 2.4 GHz? Do You Know the Difference?